Not enough videos when streaming is now the thing. It is but even if she had put out more videos during this period I just cant see her being big in streaming. She is still a household name in the industry but not streaming wise. I hope she will prove me wrong though. Maybe with LG5 her views will skyrocket, at least we can hope for it. I've been tweeting #GetTEOGVevoCertified and things like that since the summer of 2014 and now it's finally happened! And we'll probably celebrate You and I's certification tomorrow, if not the next day! Vivi has been great keeping up with the views, let's hope we can try work together as monsters and get G.U.Y. and MTN certified. How often will you update this thread? It should be monthly, except for the case when something gets certified. Yeah I think I'll update everything at the end of July. And when something new is released of course! Don't forget to like Poker Face! Just added rounded numbers of likes in the OP. 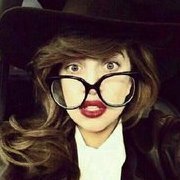 I'll update the numbers of views at the end of July or before if we finally have a date for the LG5's lead single. Fergie got a big boost on all her videos, especially on Fergalicious ! It was at 50,000 per day and now +140,000 views per day. a new release will have a BIG effect on Gaga's videos.